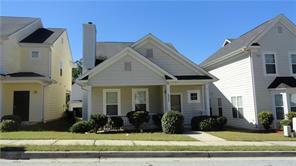 Craftsman style homes for sale Atlanta GA. Are you searching the MLS listings for Craftsman style homes for sale in Atlanta GA? Well you’re in luck! 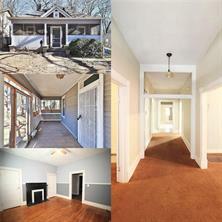 Find both new and resale Craftsman homes in Atlanta GA on our Atlanta real estate website! A Craftsman style home is truly American in Concept and currently it is highly sought after in new construction. A Craftsman home has some distinguishing features and it is characterized by its simplicity and elegance that incorporates locally handcrafted wood, tiles, stonework, glass and metal objects into the design. For information about buying or selling a Craftsman style homes in Atlanta GA Buckhead or North Atlanta please feel free to contact us! Buying or selling we'd love to represent you as your Atlanta GA real estate agents. 1) 2949 Baker Ridge, Atlanta, GA 30318, Fulton Co.
2) 2366 Capella, Atlanta, GA 30331, Fulton Co.
3) 350 Betsy Ave, Atlanta, GA 30310, Fulton Co.
4) 1029 Smith St, Atlanta, GA 30310, Fulton Co.
5) 4760 Highpoint Way, Atlanta, GA 30349, Fulton Co.
6) 4760 Highpoint Way, Atlanta, GA 30349, Fulton Co.
7) 1096 McDaniel, Atlanta, GA 30310, Fulton Co.
8) 1571 Belmont Ave, Atlanta, GA 30310, Fulton Co.
9) 1450 Beatie Avenue Sw, Atlanta, GA 30310, Fulton Co.
10) 1450 Beatie Avenue Sw, Atlanta, GA 30310, Fulton Co.